Lehn Painting has been providing clarifier painting services to Cincinnati, Ohio, Kentucky, Indiana and beyond for over a decade. Our clarifier painting specialists know the appropriate application for your surface and start by examining your surface to determine the structural integrity and the correct clarifier painting products for your business needs. Nobody has the clarifier painting industry covered quite like Lehn Commercial Painting. 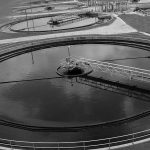 We have years of experience in customized clarifier painting solutions. We offer paint products that meet environmental needs and feature low VOCs. Our clarifier painting professionals can work across the country and can comply with local laws and regulations. Determine the type of paint that should be used to meet both the environmental needs and the specifications of the businesses usage. Preparation scope: cleaning, sandblasting etc. 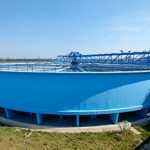 Identification of clarifier painting needs: products, paint, etc. Our teams use advanced technology coating systems for tank linings, secondary containment and corrosion control. 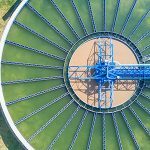 Our clarifier coatings includes low-VOC, high-performance coatings engineered for use on concrete or steel tanks, floors, drains, clarifiers, sumps and slabs. We guarantee our work and always exceed our customers’ expectations. Contact us to have a free consultation to discuss your clarifier painting needs. Lehn Painting has been servicing the Cincinnati, Ohio, Kentucky and Indiana regions for over 20 years.